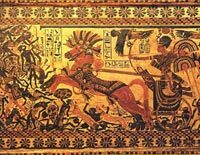 The name King Tut has instant recognition in today's world, however, prior to the discovery of his tomb in 1922 people were unfamiliar with this pharaoh. 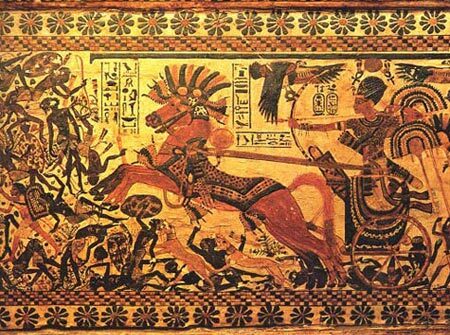 In fact, his name had been omitted from all of the lists of rulers the ancient Egyptians compiled. 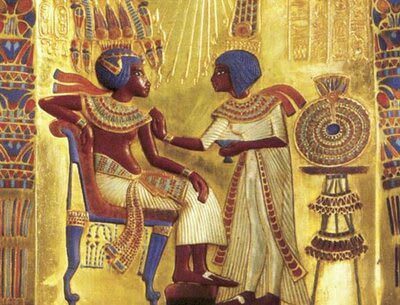 It is here that this young prince, named Tutankhaten - to honor the Aten, the deity of his new religion - was born and spent his early childhood. The prince, however, ultimately did not maintain the religious movement his father introduced. He ascended the throne (around 1333 BCE), while still a child. 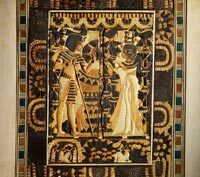 Guided by two officials of the court, Tutankhamun restored the traditional gods and re-established Thebes as the religious capital and Memphis as the administrative centre. He also changed his name to Tutankhamun in order to direct attention to the restoration of the pantheon and the god Amun at its head. King Tut reigned for only about nine years, as he died in his late teens, but he has become famous the world over because his tomb was uncovered in almost perfect condition. 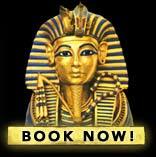 You can read about the discovery of King Tut's tomb here. This material is adapted from text written by Dr. Zahi Hawass in his book Tutankhamun and the Golden Age of the Pharaohs (National Geographic Books 2005). 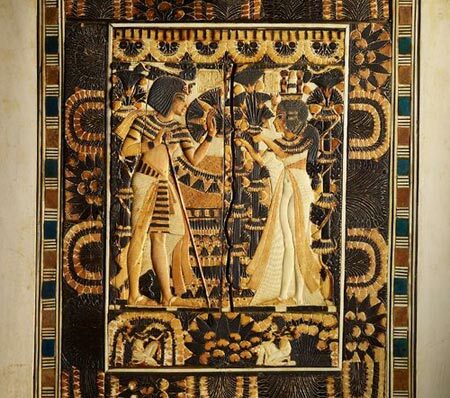 An ivory box found in King Tut's tomb shows Tutankhamun leaning on a cane with his wife Ankhsenamun at his side.